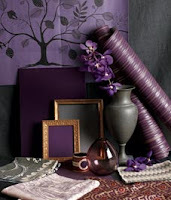 RETIRE IN STYLE BLOG: Hot Color/Design Trends for Fall 2011... clothing and decor! Hot Color/Design Trends for Fall 2011... clothing and decor! Have you ever noticed how we will use the same colors for our furniture as we do for our favorite coat or sweater. The Style at Home website always makes me think of all those colors that are in my closet and on my walls. Those Canadian designers are usually spot on when it comes to shopping for interior design. It could be that we should check with them before we even shop for our seasonal clothing. They seem to know where the trends are heading when it comes to color or design. In an article I saw today they were talking about colors for a restful retreat...in this case for a world traveler. I love the colors in this room...neutral without even a hint of mauve. 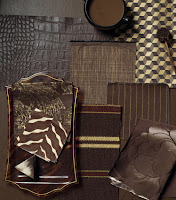 The gray is gray and the brown is cowhide brown. The tiny bits of gold and red are included only as accents. I could do this in my living room tomorrow and never look back! 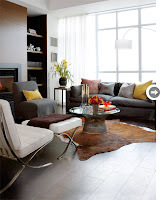 Be sure to take a look at the Style at Home's new neutrals article. Times may be changing. Recently I was shopping with a friend in a big department store. She picked up this sweater that almost made me swoon...something I don't do very much. The color was that pure purple you see on perfect plums or a hydrangea that has just the right kind of fertilizer. The one on the left is a style created by Victor Alfaro and can be found on the Bon Ton website. As you can see they have paired the sweater with a pewter colored tank. 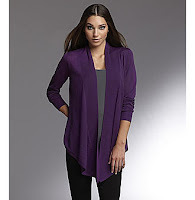 In another article on Style at Home they had featured this same color pairing..but on the walls. This is a new trend in colors for the fall at home and in your closet. I bought a little cardigan at Target before we went on our trip to Montana. It is a black and white leopard design that goes with almost everything I own. Believe it or not these little inexpensive sweaters last washing after washing. The one I saw today on their website cost $8.74 on clearance. It has that touch of purple as a trim with my all time favorite animal print...zebra. 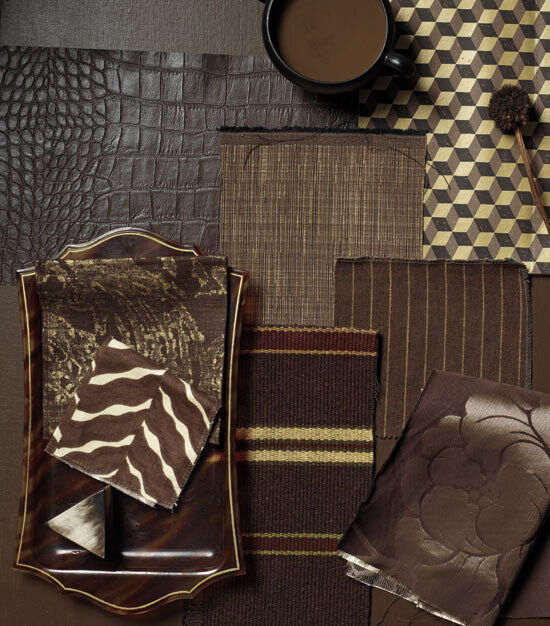 Ann Taylor and Style at Home were on the same page when they selected that gorgeous brown as a fall favorite. 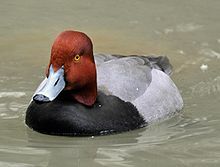 This is the same color you will find on a Redheaded diving duck. I always wanted a sweater of that color. Style for our bodies or our walls...it seems they are following the same trends when it comes to colors and designs. It turns out we shop for paint and furniture the same as we shop for a very expensive outfits...interesting!